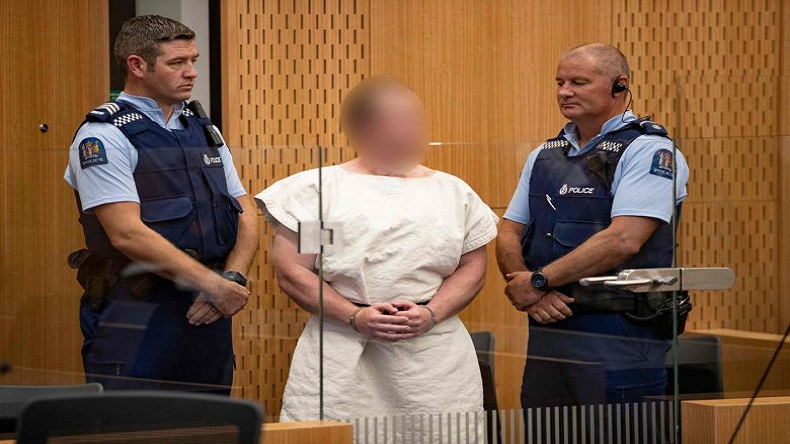 Christchurch shooting case: 28-year-old Brenton Harrison Tarrant, who is suspected to be a white supremacist, will appear in Christchurch High Court on Friday. Christchurch Mosque shootings: Brenton Tarrant shows up in court to face murder charge. Christchurch shooting case: The Australian national Brenton Harrison Tarrant, who killed 50 Muslim worshippers in gun attacks on two mosques in Christchurch on 15 March, has been charged with 50 counts of murder and 39 counts of attempted murder, The New Zealand Police said in a statement. The 28-year-old suspected white supremacist will appear in the High Court in Christchurch on Friday. Earlier, Tarrant had dismissed his lawyer Richard Peters as he wanted to represent himself before the Christchurch district court. The accused had appeared before the court on charges of murder on March 15 and he was remanded in custody to reappear in court on April 5, 2019. To gather more evidence against Tarrant, Australian Counter-terrorism Police had on March 18 searched the home of his sister in Sandy Beach town near Coffs Harbour in New South Wales and another home at Lawrence Town near Maclean, north of Coffs Harbour, the New Zealand Herald reported. Brenton Tarrant’s sister Lauren lives at the Sandy Beach property while his mother Sharon lives in Lawrence. Reports said Tarrant grew up in the north-eastern NSW town of Grafton before moving to New Zealand in 2017. New Zealand Police Commissioner Mike Bush said the police had apprehended two other people and seized a firearm from them. The woman was released without charge, while the other man was charged with firearms offences but police said they don’t believe he was involved in the attack either. The man was helping get children to safety but that he armed himself, which is not the right approach, Bush added.